Doc is the wise, quiet country doctor who run Radiator Springs’ medical clinic. 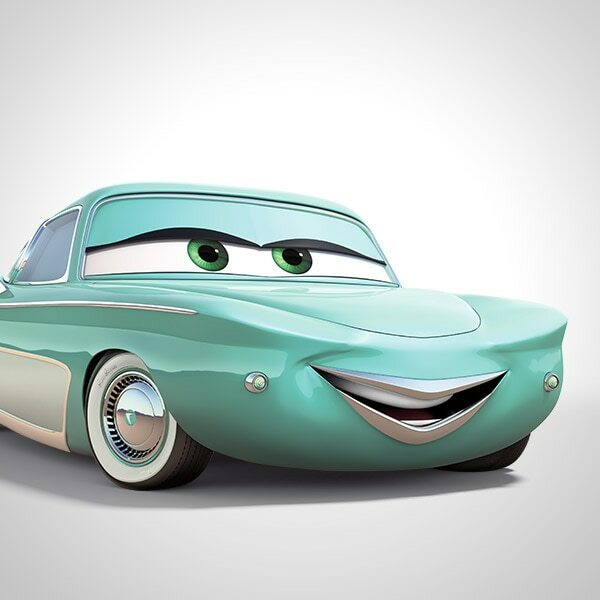 Before Doc slowed down in Radiator Springs, he was the Fabulous Hudson Hornet. Now he uses his knowledge of racing to teach hotshots like Lightning to race smart, not just fast. Flo is a sassy, no-nonsense 1950’s show car. Flo met Ramone when she made a pit sop in Radiator Springs while traveling cross-country.